Information that you can’t locate may as well not exist. JB Office Matters knows that efficiency and service suffer when files are unavailable, misplaced or lost. That’s why we have developed filing systems that give you control of your critical information. We’re here to help you develop filing, storage, retrieval and workflow systems that can include everything from simple folders and labels to sophisticated automated file tracking and labeling solutions. Contact us for pricing and customization. Our folders help keep your files organized. Group & identify important documents for easy location and retrieval when you need them. They also protect contents from folding & tearing. JB Office Matters file folders are the most efficient way to organize, classify and protect records and information. Ideally suited for frequent file for frequent file retrieval. They are essential to virtually all our custom conversion and consolidation solutions. Provide safe storage and identity for your records. Support and protect your records. 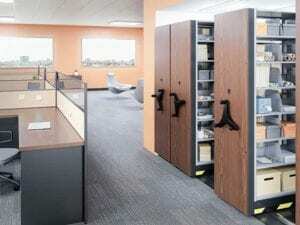 Vertical alignment allows for easy identification and location of your files. End tab, top tab & 2tab. Manila and color premium grade paper stock. Letter, legal and metric sizes. Custom designed for special applications. Paper thickness ranges from 11 pt. to 18-pt. Front panel expansion scores to accommodate a few pages to many documents. Folder is undercut, providing high visibility to tab information. Tabs are single-ply or reinforced double-ply. Tabs are embossed with score marks for quick, accurate label application. Corners are rounded to avoid bending, fraying and to protect contents.